• Deluxe 180 gram, virgin 2xLP packaged in a hand numbered, die-cut gatefold sleeve. Record 1 contains the album and record 2 a live recording entitled ‘Right Notes, Right Words, Wrong Order’, a session captured at Konk Studios in London. • Deluxe limited edition 6 panel CD gatefold soft pack containing main album plus ‘Right Notes, Right Words, Wrong Order’. • Right Action/Love Illumination coloured 7" single in deluxe, spined outer sleeve. • The North Sea 12” single. • An exclusive 7” containing two tracks unavailable elsewhere. 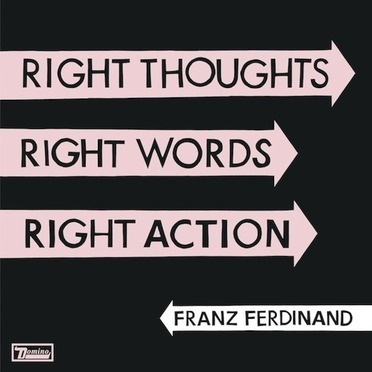 • An exclusive set of 4 postcards, each featuring a message from a different member of Franz Ferdinand. • Coupon for digital version of 2xLP.